At 10am each day the latest daily deal will be revealed. 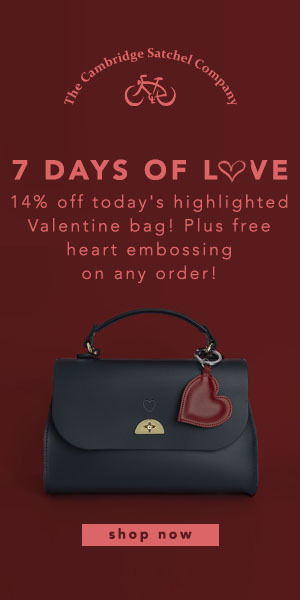 FREE heart embossing on any order. Offer subject to availability whilst stocks last. 7 Days of Love ends 09:59 (GMT) Friday 15th February 2019.